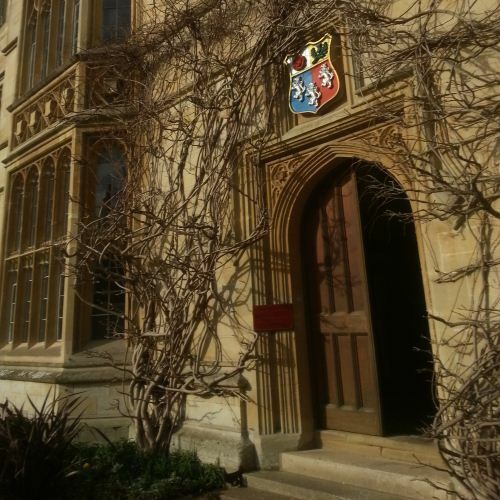 A group of 24 students from Year 9 and 10 arrived at school early on the first day back after half term to make the long trek to Pembroke College, Oxford University. The students spent the day in study skills sessions with Rachel of the Brilliant Club and Peter Claus, a History professor from Oxford University. They also met their PhD tutor, Cerys and Sophie, to start their term long project. Half of the students are working on a software encryption programme and the ethics of encryption and the other are researching barriers to literature in the late 19th century. All the students were taken on a tour of the university and spoke with Charles, a second year student, about his experiences of university life so far.